The integrated grid will help greatly in meeting the growing needs of the power starved southern states. At 8.25 pm on December 31, R.N. Nayak, Chairman of Power Grid Corporation of India Ltd (PGCIL), called up Power Minister Jyotiraditya Scindia to inform him that the southern grid had been connected to the national grid. 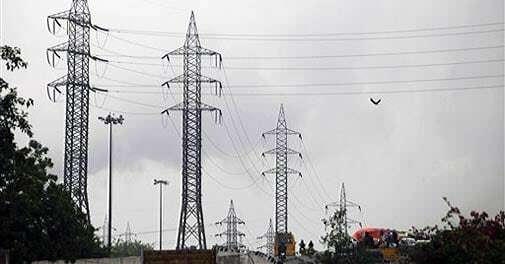 India had finally attained a one-nation-one-grid-one frequency system. "We were anxious and extra cautious," says R.P. Sasmal, Director Operations, PGCIL. "Across the world nothing on this scale had been achieved, so our target was not to commit any mistake." What actually was done? PGCIL, the state-promoted nodal agency for electricity transmission across the country, synchronised the first circuit of the 765 KV Sholapur (Maharashtra)-Raichur (Karnataka) line, which linked the grid connecting the southern states - Karnataka, Kerala, Tamil Nadu, Andhra Pradesh along with Puducherry - with the other three grids in the country - the Northern, Eastern-northeastern and Western grids. This makes the new national network the biggest synchronised grid in the world with more than 228 GW installed capacity. Having ushered in a new era in power transmission in the country, both mandarins at the power ministry and PGCIL officials had plenty to cheer about on New Year's eve. The move will make power freely available for trade nationally. In the past, the southern states found it difficult to buy power from states with surplus power in the rest of the country, as they were in different transmission corridors. Chairman Nayak stationed himself at PGCIL's national control room in Katwaria Sarai in south Delhi, and monitored thie four-hour long synchronisation process, along with officials from electricity grids' operator PoSoCo. Until now, south India was connected to Talcher in Orissa from Kolar near Bangalore, by a 1,450-KV high voltage direct current (HVDC) line, but the grids were not synchronised. It meant that power could be transferred from other grids to the south in a structured manner, but not in real time - which is possible now. "This will help us utilise resources in a better way," says an official from the power ministry. This is good news for the southern states, which are power starved. In the summer of 2013, most of south India - including the cities of Chennai, Hyderabad, Madurai and Bangalore - faced daily power cuts of 10 to 12 hours. The southern grid faced a power deficit of roughly 5,000 MW during the time. The situation improved after the partial commissioning of the nuclear plant at Kudankulam in Tamil Nadu. Most of the planned coastal thermal power plants and gas-based units in the south have not taken off because of fuel related problems. In the peak summer months of 2013, power trading on the southern grid ranged between Rs 9 to Rs 11 per unit while on the national grid it was around Rs 3. "The synchronisation will come as a shot in the arm for south Indian states and will integrate power from renewable resources," says Kameswara Rao, Leader, Energy Utilities and Mining (India), PwC. It is easier to tap power from variable resources - such as solar, wind and mini-hydel projects - in a bigger grid. It is, however, difficult to predict power generation from variable resources. The media release from the power ministry announcing the synchronisation says " the integration of the southern grid with the rest of the national grid shall not only augment the inter-regional power transfer capacity of the southern region but also relieve the congestion being experienced in a few transmission corridors". However the job is still only half done. What has been completed is only the first circuit of a double circuit line which, as per design, will carry 2,100 MW of power. But since the parallel line connecting Raichur and Sholapur is not ready, it is only possible to carry 800 MW at present. Power ministry officials say the other line, being constructed by a private company, Patel Engineering, will be ready in the next six months. Moreover, several separate alternating current (AC) lines which will stabilise the system are also not ready. Work on a similar AC line, for instance, between Hyderabad and Wardha, has not started yet. This line is being constructed by PGCIL and will take another three years to complete. A line between Kolhapur and Narendra is expected to be completed in 2014/15, while the deadline for the Angul-Srikakulam-Vimagiri line is 2016/17. "We are moving very cautiously. It will require another three months to stabilise the system," says Ravi P. Singh, another director at PGCIL. Since the parallel line is not yet up, there is a possibility of the existing line tripping. This could even trigger a national grid collapse. During morning hours, when demand peaks, the system remains vulnerable. "It is true. But we are extra cautious, and have employed a backup plan for that," says Sasmal. In the first week of synchronisation, only a maximum of 500 MW power was allowed on the single line. PGCIL officials say it will take another six months before the south can start trading electricity with the rest of the country.